Reverie Language Technologies, a leader in Indian language localisation solutions, announced the launch of Gopal, its Indian language voice suite available in 12 Indian languages. The Indic voice suite can be integrated with both chatbots and IVR solutions that companies can use for greater engagement. Chatbots are used to interactively prompt users to select options and take actions on a platform, leading them through a certain user flow step by step. For example, bank customers can be overwhelmed by the process of securing a loan, with all the details needed. Chatbots can lead them through the process, by asking them step by step for their requirements and prompting them to choose from options. IVR (Interactive Voice Response) lets users speak to an automated system to select from predefined options and carry out an action. An example would be a telecom operator helpline where users have to listen to a prerecorded message and dial to select options from the list being dictated. With voice integrated IVR, users can verbally state their choices and the system will recognize their queries and suggest relevant options, removing redundant steps in between. “As hundreds of millions of Indians access the internet for the first time, they are presented with platforms featuring unfamiliar UI. 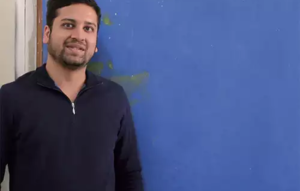 Iconography is often alien to these users, and what mature users would see as intuitive, needs to be spelt out to them”, says Arvind Pani, Co-Founder & CEO of Reverie Language Technologies. Arvind Pani also explains with an example of e-commerce platforms, which use the cart icon prominently. Over 80% of Indians have never seen a shopping cart in their lives. And the existing UIs have been designed keeping mature English language users in mind, which does not make them inclusive. In addition, user education is a continuous process that takes time, involving constant guidance and handholding. Education for even a basic user flow to complete a simple task can require multiple instances of explanations before the user is comfortable. Chatbots have been helping internet users access and use a variety of services, making user flow easier. However, they have had limited reach because they are text based, English only, and cater to mature internet users. According to a Google-KPMG report, 90% of these new internet users, as well as over 50% of the existing Indian internet user base is formed by Indian language users. Introducing Reverie’s Gopal Indic Voice Suite. ● Gopal can fluently comprehend user queries and deduce intent for any of its 12 supported languages. In addition, Gopal’s speech recognition engine is dialect sensitive. ● Reverie’s proprietary architecture makes adding new domains and use cases to Gopal seamless. Besides Indic chatbots, the Gopal suite also includes IVR automation powered by Reverie's proprietary ASR (Automated Speech Recognition). It can also function as an input tool, providing voice typing by converting speech into text. Gopal has been tested for banking apps and mobile recharges and has been shown to increase ease of use, while helping users leapfrog using unfamiliar UI, user flows, and interfaces. In a survey conducted by Reverie featuring 472 Indian language internet users over the age of 45 on Android devices across 15 towns, it was found that 54% of respondents found mobile recharge through Gopal’s voice suite easier to use than the existing options. 35% showed a willingness to use a similar voice based service to recharge their phones on a regular basis.